Osteoarthritis (OA) is the most common source of disability in older adults. 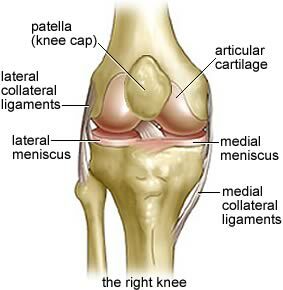 Specifically, it is OA centered on the knee that debilitates more older adults than any other single condition. Why? OA takes time to develop and those adults who make it to an older age have had the time to get there. We are all born with shock absorbers on the bones that have articulated joints – that is, the bones that connect to other bones. Those shock absorbers are the soft tissue at the ends of joints that keep the long bones of the leg, for instance, smoothly joining together as we walk, run, jump and more. With the passing of years and the mileage we all accumulate the cartilage begins to wear down and perhaps entirely erode away. When that finally happens we have bone on bone instead of the formerly soft tissues meeting soft tissue, and the resulting friction causes inflammation and ultimately debilitating pain. While there may be no cure for OA, there are steps short of knee surgery that can help the older adult you may know who has that popping, grinding, painful knee. They should see a provider, typically their primary care physician, who then likely will refer them to an orthopedic surgeon for definitive diagnosis with an XRAY. If the referral physician determines that surgical intervention may not be needed there are options that can be explored. 1. Exercise – in cases where building up the muscles surrounding a joint may take some of the pressure off the bone, this may be one of the easy fixes. 2. Physical therapy – it may be helpful to have a professional who specializes in the mechanics of the body put your older adult through the paces and/or introduce other interventions like heat, cold or more. 3. Diet – if a person is sufficiently above ideal weight, simply losing some of that excess weight (I know “simply” may be a stretch) can make a dramatic difference in how much pressure the joint receives. 4. Injectable medications – using any one of a number of anti-inflammatory agents injected into the joint can sufficiently reduce the inflammation and a patient will see a marked relief in pain. 5. Assistive devices – in some cases a different shoe or a modification to the shoe may make a huge difference in how walking transfers (or does not transfer) its impact up the leg or using a cane can help. 6. Oral medications – There are prescription and over the counter (OTC) medications that can provide relief from the pain by reducing the inflammation; these are called non-steroidal anti-inflammatory drugs (NSAIDS) such as ibuprofen, naproxen sodium and others. So, if you have noticed the older adult for whom you are a caregiver gives that telltale wince when they stand or climb stairs, it may be time to accompany them to a visit to their provider; bring your list of options with you.